Different creatures have different strategies for coping with the winter. Honeybees build up their stores of honey to see them through, we rely on our community and the wider global market, and wasps (and bumble bees) put all their eggs in the one basket. Wasps and bumble bees let all their hard working daughters and sons die off, leaving only a small amount of queens at the end of the autumn. These queens find warm areas to hide themselves away over the cold winter months. They find south facing hedges, or living room curtains in which to fall asleep into and dream of the summer. When spring comes they fight for survival. They struggle to establish a small hive of daughters. If all goes well for them their daughters take over the struggle and leave the queen in the comfort of the hive. 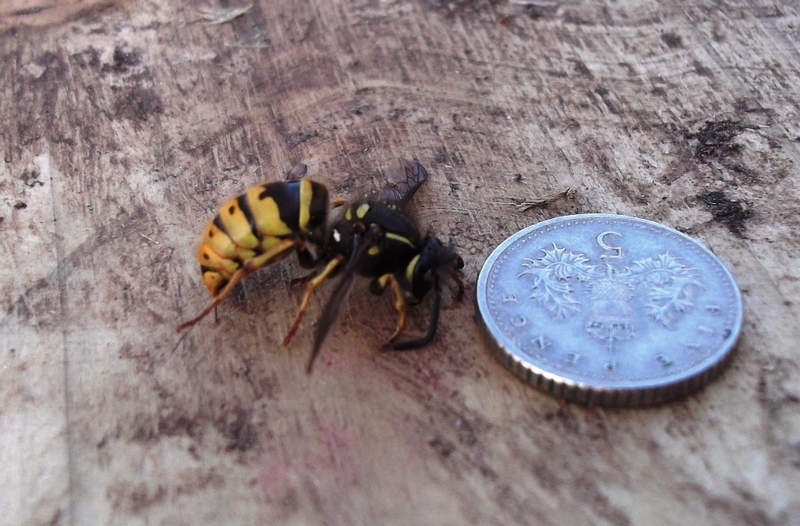 So, if you see an unusually large wasp at this time of year, then kill it. Make it your mission to ensure it is dead and gone. Doing so condemns thousands of wasps to death; the thousands of potential eggs that she carries inside herself. And if you see a larger than normal bumble bee at this time of year then you must do the opposite. Ensure that it is unharmed and that she is safe in the world as the bumble bee is not a pest. The bumble bee is being persecuted by our pesticides and herbicides. Today I had a quick look at the bee hives and spotted a very large wasp lying dead at the entrance to one of the hives. She was a queen who must have been desperate for food. Desperate to feed her young babies in this fluctuating fickle spring. She must have been insane too. What was she thinking when she tried to enter a honeybee hive packed with a couple of thousand venomous honeybees. Whatever she thought, I was proud of the bees. It has been over a year and a half since we began our chicken experiment. It has been a year and a half since we found ourselves needing to buy eggs. There have been a few times when we came close to needing to, times when we had given away surplus to friends and family and then needed some to make cheesecakes and such things. So far the hens have always seemed to supply our demand, until now. A couple of them have gone off lay due to them going through moulting. 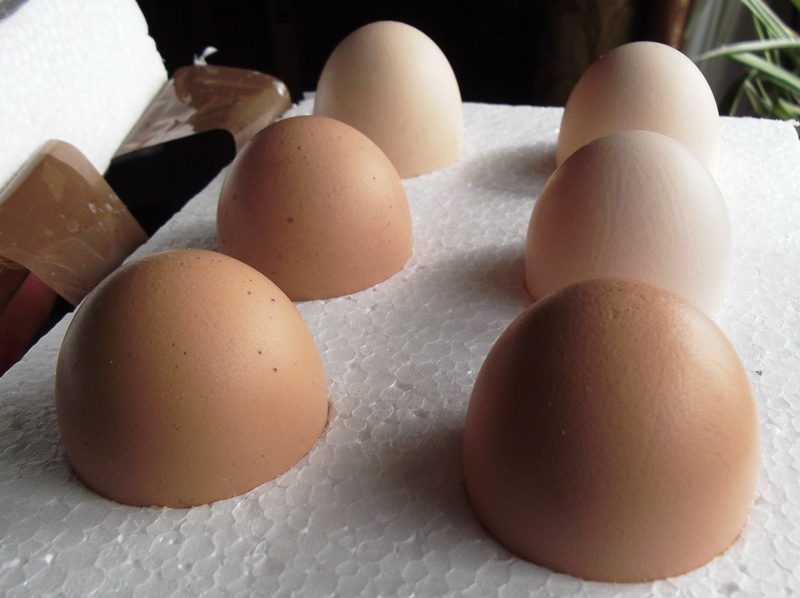 It is natural, and they should start to lay again in a couple of weeks, but this is not why we needed to buy eggs. We bought half a dozen a certain amount of eggs because our hens have no cockerel. No cockerel means no possibility of them ever producing little chicks. 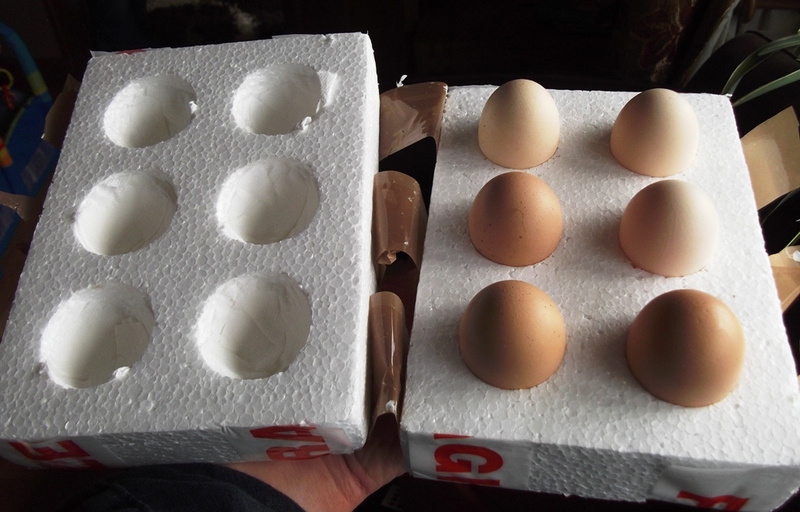 So, for the next phase of our chicken experiment we have purchased half a dozen a certain amount of fertile eggs which were just posted to us. Our hens are hybrids and are in no way likely to go broody and raise the hatch or raise the chicks themselves. 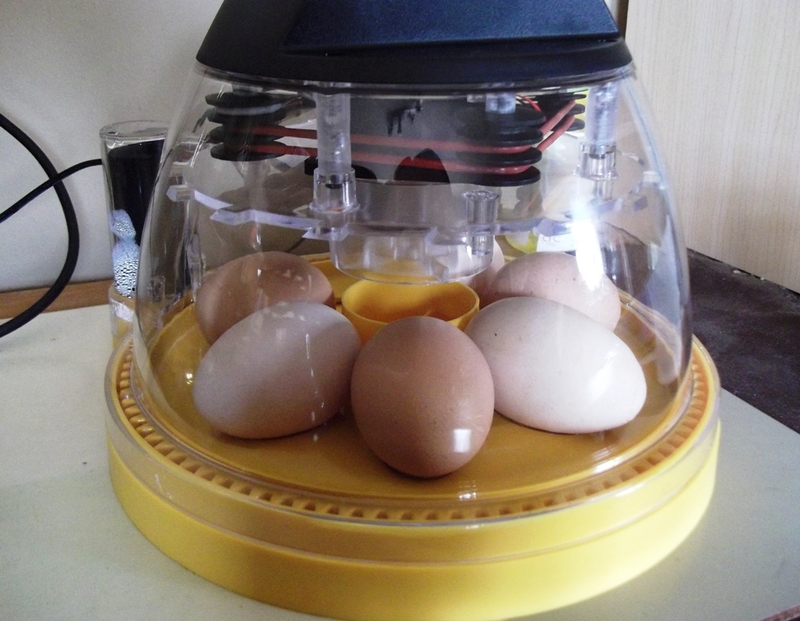 Instead, we have opted for an incubator. 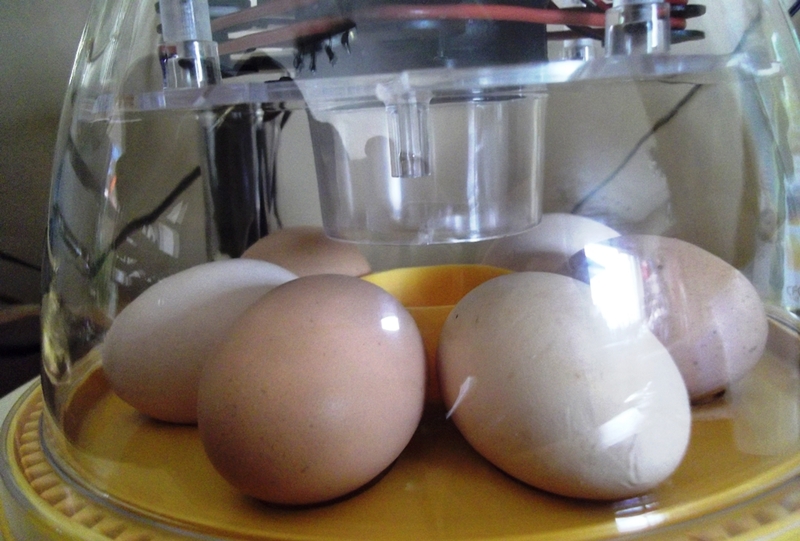 If all goes well it means we will be able to watch them hatch in about twenty one days. I could not resist telling my students the good news and they all seemed interested in the idea of little fluffy Easter chicks. That is, until I told them we were raising them with the main intention of eating* them. They did not like that at all. I assured them that I would not eat them while they were fluffy and cute, but would instead wait until they were older and uglier. That did not help. It is ten in the evening and I have just had dinner. Sometimes going to get medicine for a little man’s chest infection puts insignificant things like dinner time way down on the list of priorities. Having dinner so late is just a minor part of a mis-synchronisation I have been feeling over the last few days. Yesterday I arrived back into my home time zone from a ski trip. I set my clocks back an hour after having moved them forward the day before due to the spring leap forward of summer time, then I let the plane and coach journeys drift through me. This morning I did not know where, or when, I was. 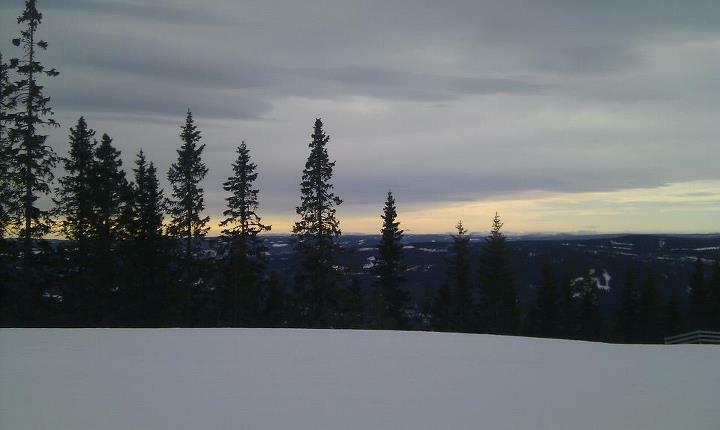 I woke up thinking I was in Norway and began to think about the day ahead on the mountain. Then I mentally shook off the sleepiness and reminded myself that I was at the cottage and ready to go to school. 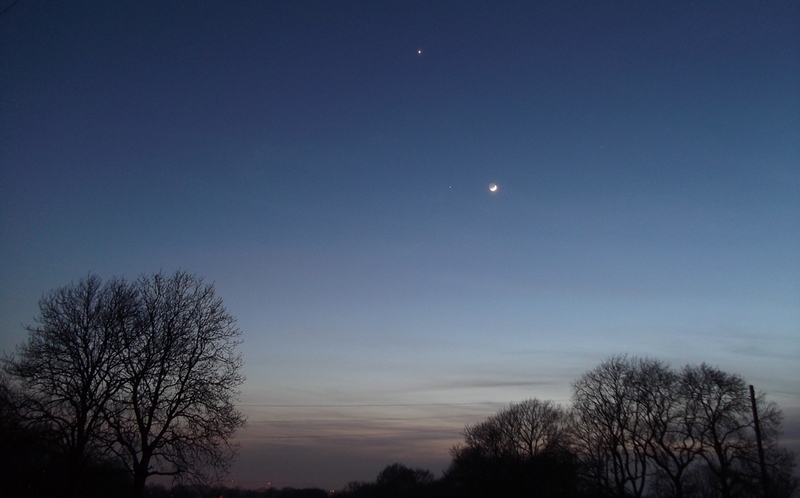 Sidereal time helps the readjustment. The clockwork of the sun moon and stars helps me relax into real time, not watches, clocks and mobile phones. 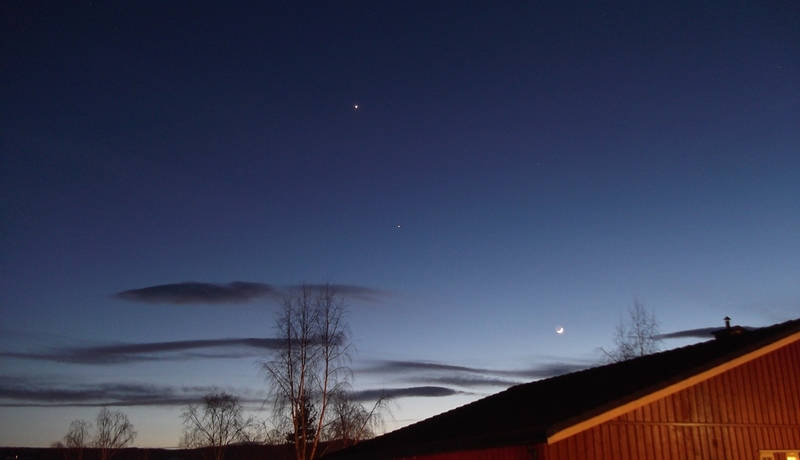 I am glad, and surprised, to say that the stars did not feel like home in Norway. The trip and the experience were amazing, and the chance of a lifetime. I am not saying that I felt out of place, it is just interesting that the stars were positioned differently and were an unexpected extra experience to be enjoyed. The pole star and its turning companions were slightly shifted, being higher in the sky and out of there usual tilted seat. The moon was no different though, it was a reminder of the steadiness of this turning world. It is this sidereal time that I try to set my internal clock to. Often I see an imbalance in my students in the classroom. To learn and develop in any subject, two things are needed; knowledge and confidence. Too often my students have too much of one and too little of the other. Over-confidence without knowledge is dangerous, but the reverse is frustrating. Half a teacher’s job is to slowly, and delicately, build our pupil’s belief in themselves while realising it can be shattered so easily. If I am being honest, I have to admit that my own balance in the learning curve is weighted down by too much confidence, with the exception of fruit trees. When faced with a fruit trees I really do not know what I am doing. I know they need pruned but I have a deep seated fear of killing the tree. It feels so wrong to let me loose with a set of loppers on a tree that must be decades old. Over a year ago I read the books about pruning fruit trees. I read dusty old books found in second hand book shops and shiny new books dispatched from the monstrous book machine that is Amazon. 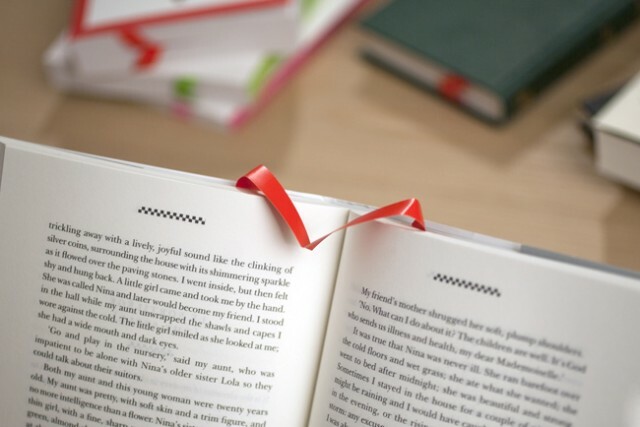 I read and absorbed. I looked at the diagrams and I inspected the trees with the book in hand. I did all this before taking the loppers in hand and…… doing nothing. Fear gripped me and my own confidence drained away as I approached the trees. Last spring I watched the oldest of these fruit trees suffer. It bloomed and began to blossom at the edges of its old branches until a cruel set of winds blew through the end of spring. The tree was too stretched out with its untidily long branches, the leaves began to curl and die. In the summer it found the energy to recover a little, but it was clear that it was suffering, and it was my fault. This morning I decided to go for it. Over confidence can be brutal, but then again; confidence must be gained by experience. I grabbed the loppers, and the ladders, and the wood saw! I threw myself into it and the plum tree did not look like itself by the end of it. Time will tell. Later in the morning I found out some good news. As it was such a lovely spring day the bees took advantage of it. They were very active with lots of big wheeling and spiralling flights around the hives. This is a sign that some of the bees were learning the hives location. This, in itself is a good sign; however the really exciting sight was that of big wads of pollen being brought into the hives in large amounts. 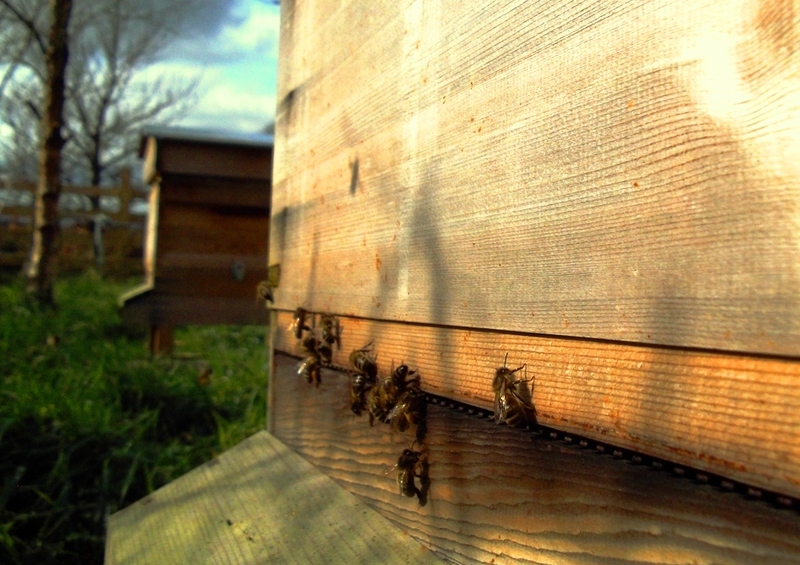 Lots of pollen means lots of baby bees to be fed, which probably means that both hives contain healthy laying queens. Now that temperature of spring, and my bee fever, is beginning to rise, my mind is drifting to the characters of the seasons. The willow is releasing its pollen, but when will the dandelions start to take over the fields and verges. When will there be the first ‘flow’? My spring fever is still with me, and growing. It seems that the unfolding of spring has sent me into a kind of madness. On the cycle home from work I felt the urge to call into a local supplier and buy some seed potatoes. Armed with a total of five kilograms of two different early varieties I headed home with purpose. As soon as I got to the cottage I put on my wellies, and the old buffalo, and started turning over the soil in preparation. In my mind I needed to get some digging done before the light faded. In everybody else’s mind I was gardening in my lycra cycling leggings. Soon the lovely Sharon and the little man joined me along with his granddad and grandmother. It was a strange sight, and maybe it is one that no one should see, but the season’s gardening has officially started.